As a theatre major and life long eater I really enjoy dinner shows. I think both the large dinner shows (which can seat several hundred guests and have huge stages where just about anything can happen) and the intimate dinner shows (which can seat around 100 guests or less and there tends to be more audience involvement) have something enjoyable to offer. 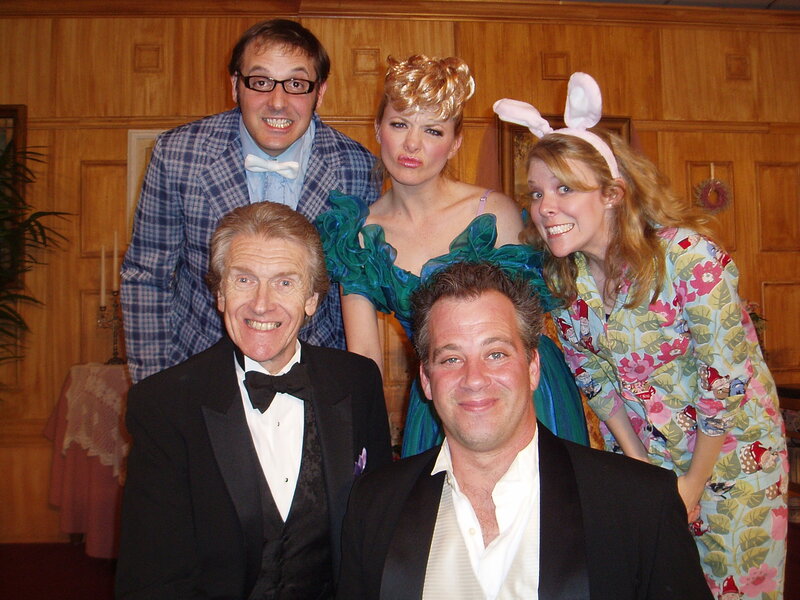 More intimate dinner shows like My Big Fat Grease Wedding are a challenge for the actors. To be successful, these shows need direct interaction with the audience and the actors need the flexibility and intimacy of a stand up comedian. Perhaps this, as well as a very weak script, is the area where My Big Fat Grease Wedding fell short. With the exception of a couple of musical numbers, a great performance by a gay wedding Justice of the Peace, and a few nice jokes, the performers were left plowing through a script that did not give the audience much to laugh at or enjoy. The beer and wine were free for the show and my wife mused that perhaps it needed to come earlier and more often in order for the guests to really get into the show. The story line revolves around an impending wedding where the bride is a huge fan of the musical Grease as well as pure Irish. Her phone ring tone plays the Grease theme and her husband-to-be is forced to wear a skirt-er-kilt for the ceremony. One thing after another goes wrong and the audience is privy to mischief and mayhem with the odd musical number thrown in for good measure. 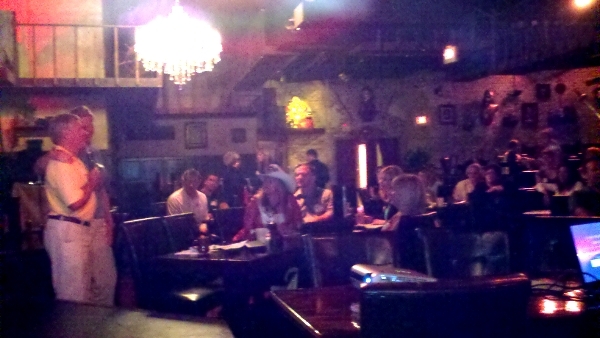 Audience members were occasionally singled out and became (unwitting) participants in the drama from time to time. The actors, however, had difficulty engaging the audience in a way that could take the show to a higher level. The food, on the other hand, appeared to be a real winner. I say “appeared” because my family is vegetarian and this show follows all dinner shows I have attended in their inability to provide vegetarian meals of high quality. (My number 2 son commented that this last line sounds like “whining.” Perhaps he is correct. I keep hoping that if enough vegetarians speak out, more places will cater to the estimated 10% of us who do not eat meat.) However, for the carnivores among us, there was all you could eat prime rib, crab legs, salmon, and a plethora of pastas, salads, and sides of high quality. This feature, alone, sets this dinner show apart from others I have seen. The host and hostess were both generous and pleasant and I spoke with them at length about their endeavor. They take obvious pride in their restaurant. 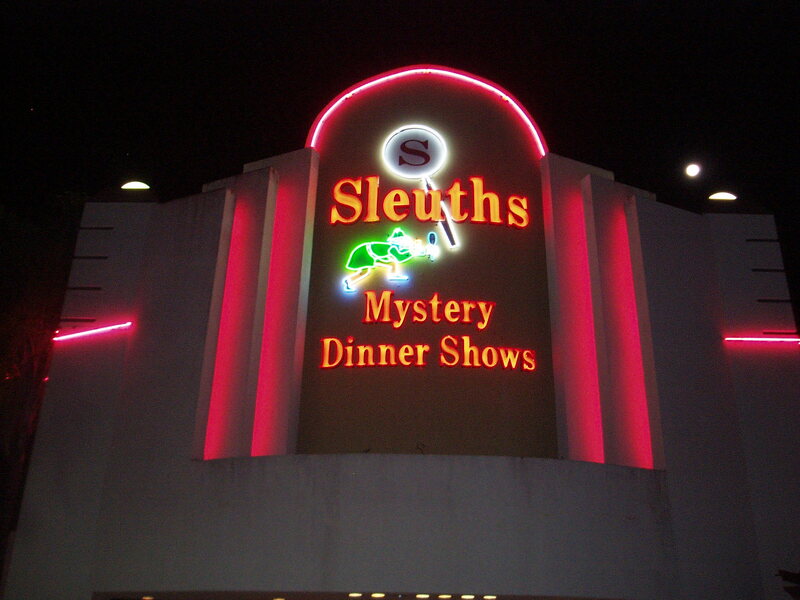 The service was adequate, although it was difficult to understand when one is supposed to take advantage of the buffet line as it interrupts the action on the stage. 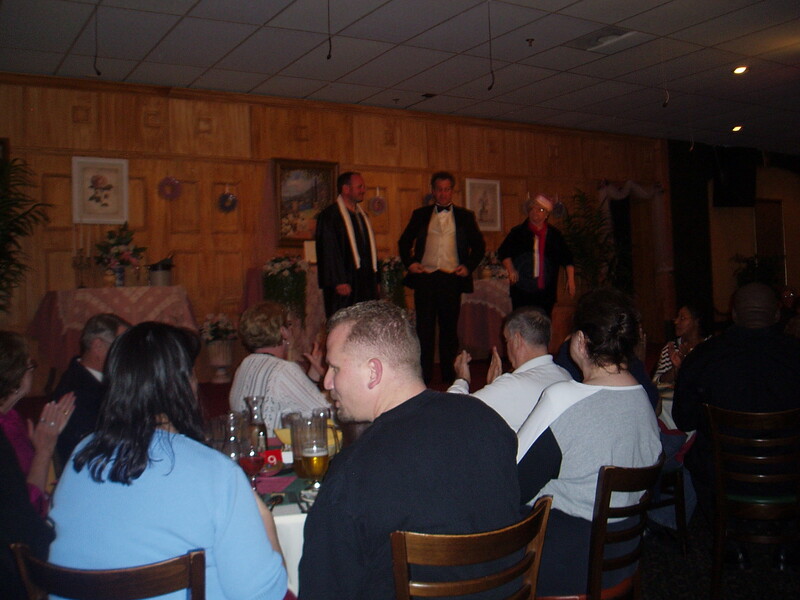 The restaurant provided a nice, elegant atmosphere for the performance, although it clearly was not designed around the show as only half the restaurant was used for the performance. The other half was occupied by regular restaurant patrons who showed up solely for the expansive buffet. Usually in an intimate dinner show, you have the nice touch of personal recognition for audience members who are celebrating something special–A birthday, anniversary, honeymoon, graduation, etc. With this show, only one birthday celebrant was noted and it proceeded so awkwardly that it appeared to disrupt the actual show. 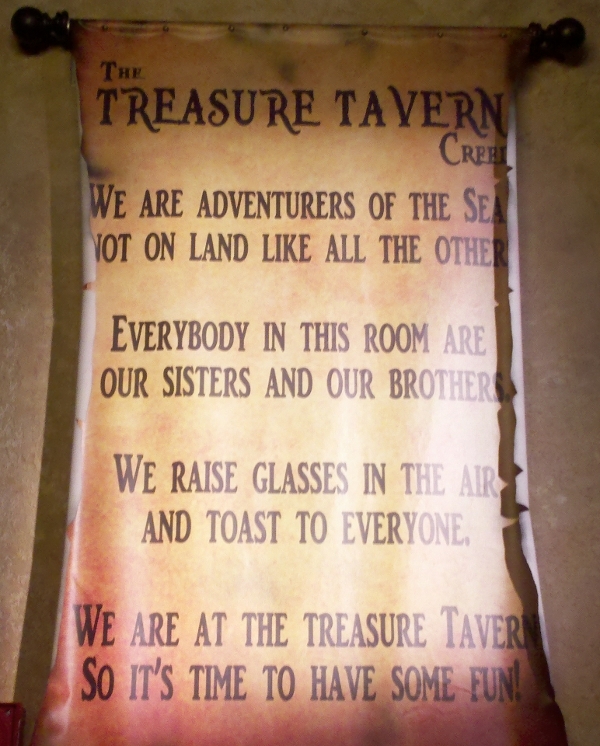 We were never asked if we were there to celebrate anything. Intimate dinner shows are also usually appropriate for the entire family, but there was just enough sexual references and gay innuendo as to make this show a bit squeamish for small ones. My 13 year old daughter was clearly embarrassed during some scenes. This was only the second performance of My Big Fat Grease Wedding. Perhaps, over time, the actors will get more comfortable in their roles and more skilled at getting the most out of the audience. And perhaps the script will go through some much needed rewrites. In any case, the hosts were pleasant and attentive, the restaurant worth a try (if you are not vegetarian) and keep an eye on the reviews to see if improvements are made to the show.